Resigned from State of Pa.
Well, to be honest, high school was difficult. Between losing my dad to cancer and then getting involved too young and having my son my senior year, I don't have those unforgettable memories to look back on. Life is good now and that is what counts, right? Lisa Herrold Reichenbach has a birthday today. 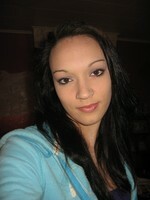 Lisa Herrold Reichenbach updated profile. View. My son Chris and his fiance' Morgan after 4-wheeling out the mountains.